WB: HeLa, HEK-293, NIH/3T3 and PC-12 whole cell lysates. 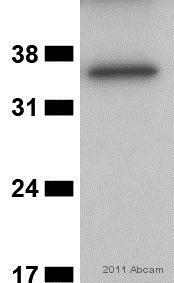 This antibody has been conjugated with HRP. 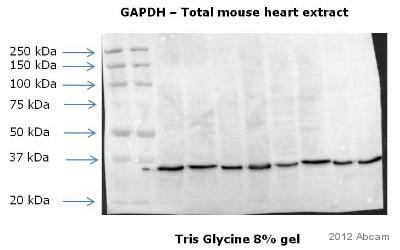 The concentration of the original antibody was 1 mg/ml, following conjugation the concentration observed will be higher. Our Abpromise guarantee covers the use of ab9482 in the following tested applications. WB 1/1000 - 1/5000. 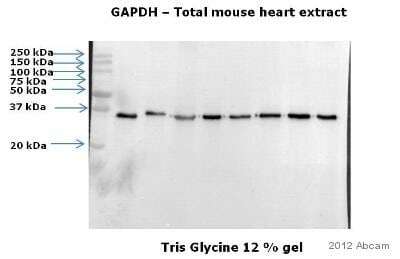 Detects a band of approximately 40 kDa (predicted molecular weight: 40.2 kDa). NOT SUITABLE for blocking with milk. Block in 5% BSA for 1 hour. 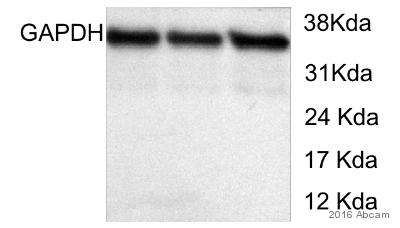 Our labs have thoroughly investigated the blocking conditions for this ab following concerning customer feedback on the lack of signal with some vials. 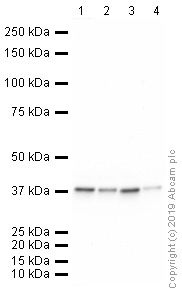 We found that milk significantly decreases signal and is therefore not a suitable blocking agent for this ab (see images of our tests on the datasheet of the unconjugated version, ab9484). This change in characteristics of the ab is due to a recent update to the production process. Publishing research using ab9482? Please let us know so that we can cite the reference in this datasheet.